Or really at the Zoo! 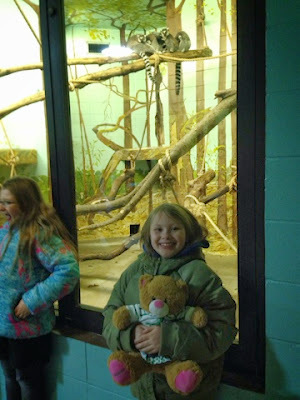 Last night Maggie & I spent the night at the Great Plains Zoo in Sioux Falls at the first ZooZnooze. The zoo has hosted sleepovers like this for Girl & Boy Scouts, but we were too late to register. It was a pretty amazing night! We got there at 7 pm and the evening started with a pizza party and animal encounters. We met a Indian Star tortoise, a hedgehog & a lizard. 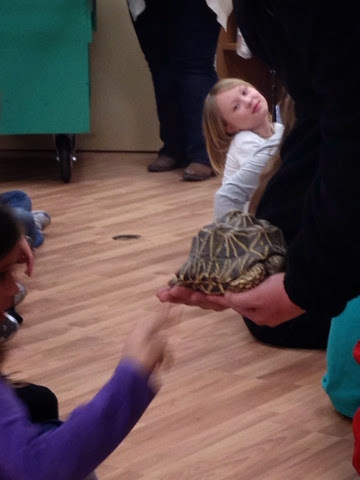 Maggie really liked Bolt the lizard & Ellie the tortoise, and thought Sonic the Hedgehog was cute. But her favorite one was Bolt because he's pretty cool and his spines he uses for protection. After the animal encounter, we did some stations to learn about animals. 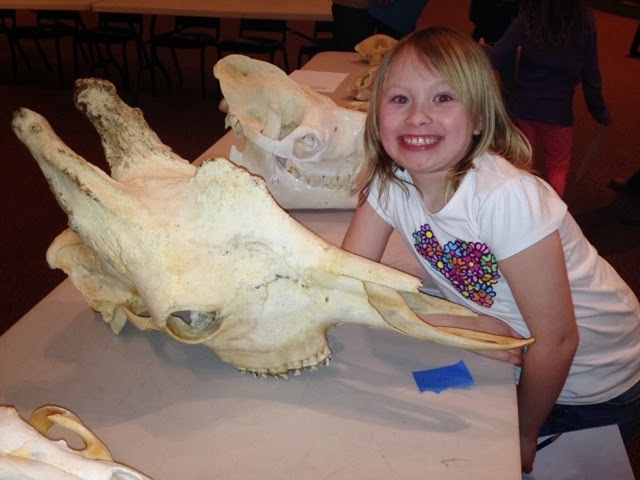 Maggie thought the giraffe skull was pretty cool. We then got to take a night your of the zoo. We saw the caribou, llamas, primate house (with monkeys, apes & lemurs) and the red fox. We then returned to the museum to get ready for bed & pick out a movie. "Night at the Museum" was the overwhelming favorite. Though it wasn't long before Maggie said she was ready for sleep. In the morning after breakfast, we met a skunk and red tailed hawk. 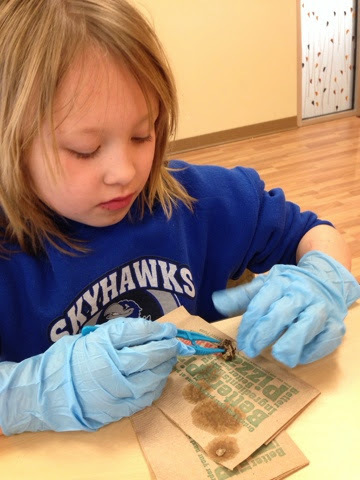 Then we got to dissect an owl pellet to determine what the owl has to eat. We discovered a rodent skull in ours! We ended our time at the zoo with a morning tour. 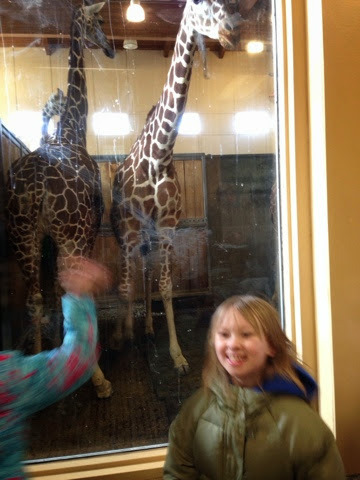 We did get to see the giraffes, though it was still too cold for them to be outside. It was a very cool overnight adventure and Maggie is already looking forward to the one in the fall -- either another family or this time, with Girl Scouts!